He was NOT happy the Christmas trees were fake. If there's anyone who knows a good tree when he sees one, it's this guy. In fact, you might say he's something of an arboreal aficionado, possessing a keen taste for all things wooden. That might explain why he seemed none too pleased with what he found inside this particular dollar store. 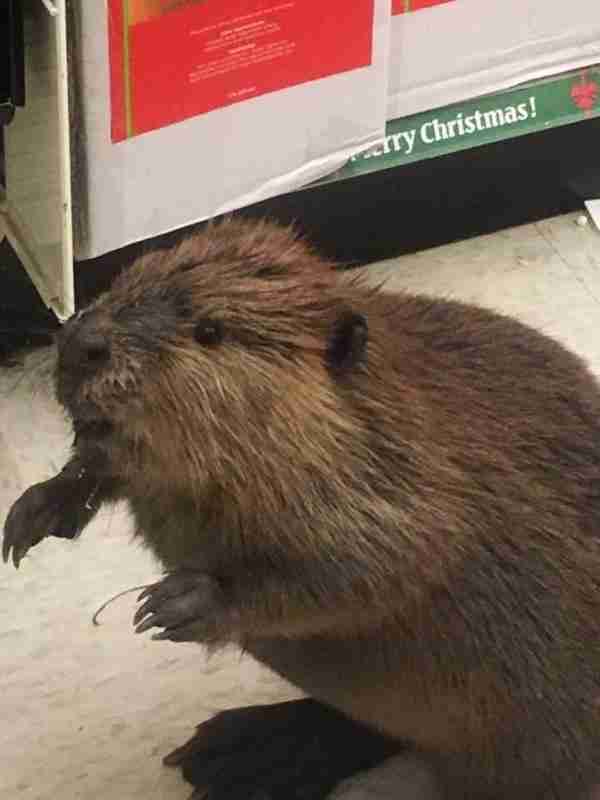 An officer from the St. Mary's County Sheriff's Office was called out to assist this week after the wild beaver was spotted wandering the aisles of the bargain market in Charlotte Hall, Maryland. 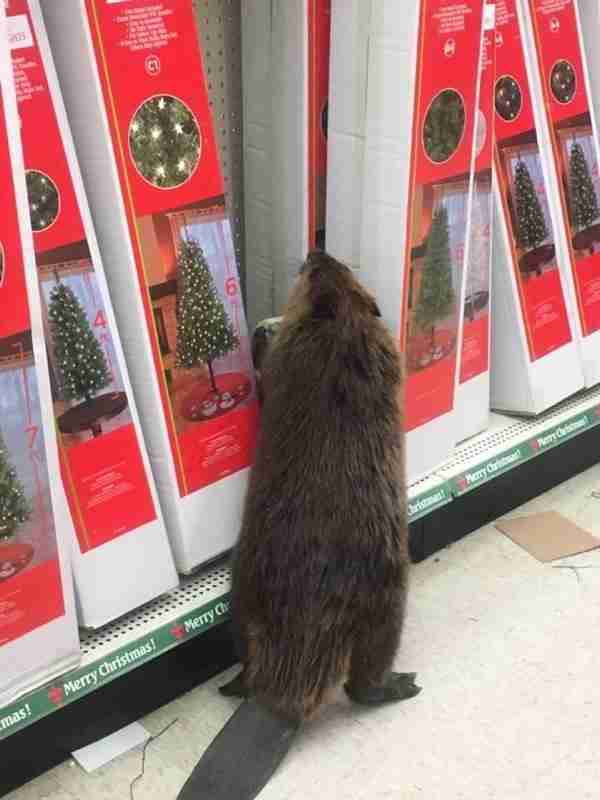 By the time she arrived, the buck-toothed animal had apparently made his way to the store's selection of Christmas trees for sale. But those conveniently packaged portions of what appeared to be the beaver's favorite food, much to his disappointment, weren't what they seemed. Yes, these trees were artificial. 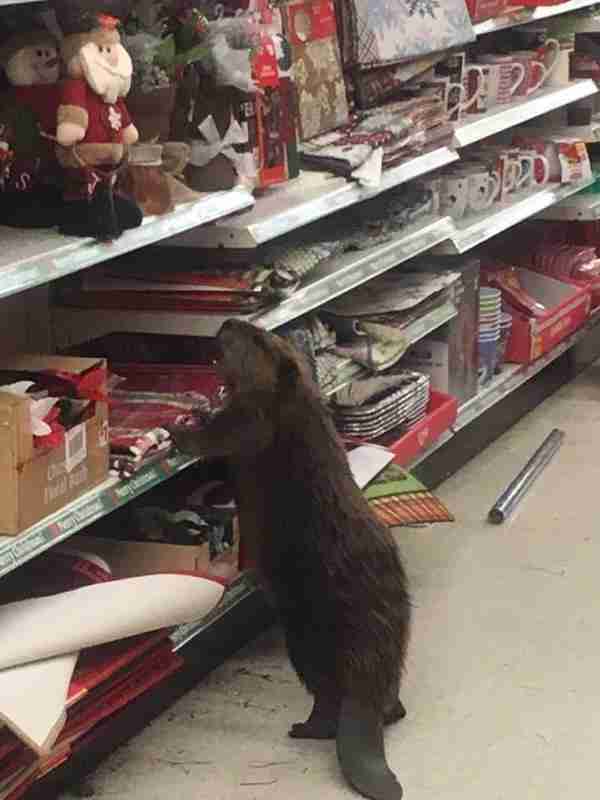 Afterward, the beaver continued rummage through the holiday decorations on display for something real to snack on, evidently finding the options to be sorely lacking. With that, it was pretty clear that his Christmas was already ruined. The suddenly not-so-jolly animal was apparently unafraid of letting his grievances be known. Fortunately, the incident ended better than it began. 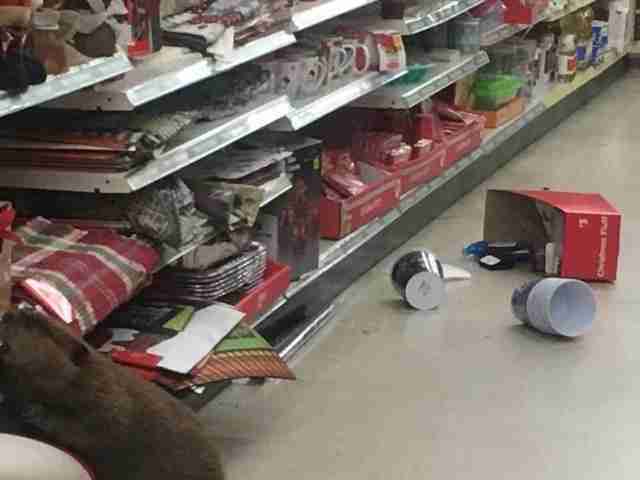 According to the sheriff's office, our disgruntled Christmas-shopping beaver was rescued without incident and placed with a wildlife rehabilitator. We hope they have plenty of wood.